Guests of Shangri-La Hotels will be walking on thin air when it opens the 289-room Shangri-La Hotel, Lhasa on April 17. Lhasa sits on a plateau at 12,000 feet above sea level, surrounded by Himalayan peaks, glaciers and desert-like landscapes. The city, the former home of the now exiled Dali Lama, is home to important Tibetan Buddhist sites including the Potala Palace, Jokhang Temple, Sera Monastery and Norbulingka Palace. The hotel is located within walking distance to Potala Palace and Norbulingka Palace. The hotel is designed with a Tibetan sense of design including Tibetan paintings, high ceilings and windows to let in light and fresh air. It will offer a range of F&B venues and recreational facilities. The hotel's Horizon Club Lounge caters to the full range of travelers' needs, providing destination information, arranging tours and transportation as well as offering business services. It also features the city’s first oxygen lounge. Guests can relax and enjoy reflexology treatments there while overlooking the hotel's landscaped garden. Gateway Hotels & Resorts, part of the Taj Group, will launch the 197-room Gateway Hotel EM Bypass Kolkata. This will be the first Gateway branded hotel in Kolkata, and the second Taj hotel in the city since the Taj Bengal opened in 1989. The Gateway brand targets what Taj calls “modern nomads” with consistent, courteous and crisp service for business and leisure travelers. This will be the third new Gateway Hotel to be launched this year after Hubli and Chennai. The hotel is located at the junction of Rashbehari Connector and within close proximity to the city’s IT hub and principal business districts, making it the sanctuary of choice for the urban nomad. Kolkata is the financial and commercial hub of Eastern India. Famous for its buildings and museums with Bengali art as well as varied Bengali cuisine, Kolkata is the gateway to eastern India. The room starved Myanmar got a boost from Best Western [/suppliers/hotels-and-resorts/best-western.html] recently and is getting an even bigger boost from Accor [/suppliers/hotels-and-resorts/accor-hotels.html] in the next three years as the French giant is planning to add three hotels to the three it already operates there. The 189-room Best Western Green Hill Hotel opened in the former Burmese colonial capital of Yangon, a 15-minute drive from Shwedagon Pagoda. The rooms offer complimentary in-room Wi-Fi, work desks, international power sockets and flat-screen TVs with satellite channels. A fitness center, spa, sauna and Jacuzzi will open in the second quarter of this year. The company has also announced a plan to open its first hotel in the country’s current capital Naypyidaw next year. The Pullman Yangon Myat Min, the Sebel Yangon Myat Min and the Novotel Inle Lake Myat Min are all under construction. 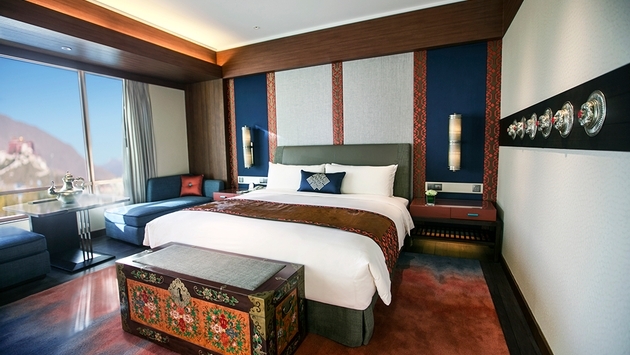 Accor recently opened an MGallery hotel in Naypyidaw and two newly built Novotels in Yangon and Mandalay. Accor was the first major international hotel operator to announce confirmed hotel development projects in Myanmar after the country embarked on a series of economic reforms in 2011. Phuket’s new Iniala Beach House is available to rent entirely or by the individual villa. 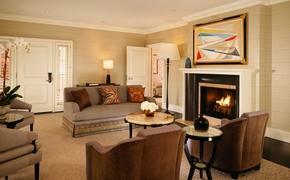 The three villas that comprise the property combined feature 10 individual suites, with each suite having its own spa. It is the creation of designers from, Brazil, Britain, Ireland, Russia, Spain, Thailand and the USA. The property is centered on a traditional beach house built in the last century and several contemporary villas have been created around the original structure. Different designers worked on each of the villas. Little was spared in creating the property. The Collectors Villa, for instance, has a 22-seat private cinema. The restaurant is run by three-star Michelin chef Eneko Atxa.